Meg has always been passionate about movement and health. But it wasn’t until she found yoga that she discovered the power of a true mind-body connection. Yoga quickly became an integral part of Meg’s life, helping her get out of her head and reconnect with her heart. 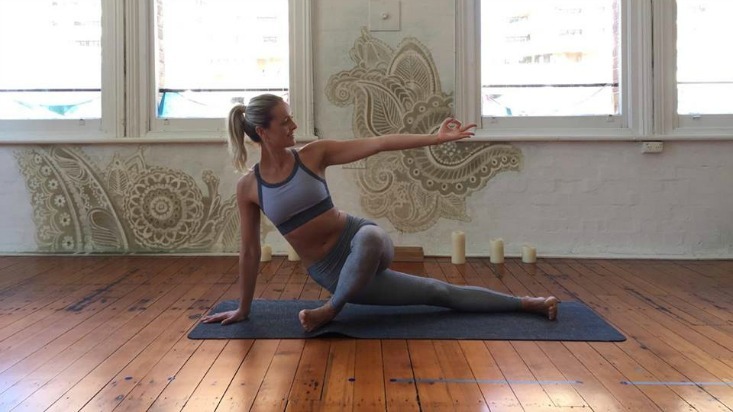 Driven to share the inspiration and peace that Yoga has given her, Meg undertook her Vinyasa teacher training with Power Living and her Yin teacher training with Mel McLaughlin 2016. Meg passionately believes in Yoga’s transformational power, and brings that energy into the studio. Meg’s classes are fun and athletic, so you are guaranteed to feel the heat and leave with a smile! Feel inspired and challenged yet peaceful. It is an integral part of my life, where I can still my mind and discover my authentic self. Half-moon. I used to dislike this pose because I felt off balance and couldn’t stand the lack of control. Nowadays I feel simultaneously grounded and light. And if I wobble, I just smile. A nice metaphor for the change that Yoga has brought into my life generally!